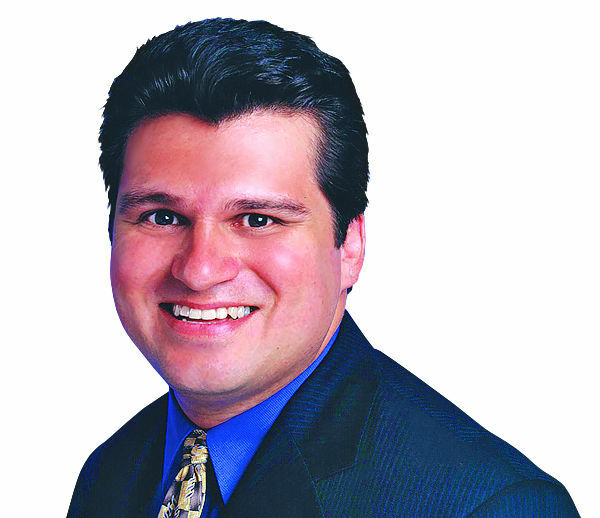 COMMENTARY | Ruben Navarrette Jr. This time of year, President Trump should be thankful for the immigration debate. It is a distraction that steals the public’s attention away from administration flubs, GOP election losses and policy failures. It’s a tool to fire up his base, especially those folks who say they care about the rule of law but really worry that America is becoming too brownish. And it’s a way to oversimplify a complicated issue that revolves around supply and demand as well as a need to balance workforce demands with legitimate concerns about whether foreigners are properly assimilating. If you’re a president who doesn’t mind breaking apart society and dividing the American people for your own benefit, the immigration debate can be incredibly useful. But it must be handled with care. >> Trump promised a “big beautiful wall” on the U.S.-Mexico border that would keep out illegal immigrants and illegal drugs. But he misled his supporters into thinking that Mexico would pay for it. When Mexico took a hard pass, the wall got downsized to barbed wire and fence repairs. Last week, during a visit to the border near San Diego, Homeland Security Secretary Kirstjen Nielsen — who you’d think would have empathy for people looking for work since, according to media reports, she could soon be without a job herself — proudly surveyed the metal structures and declared her mission accomplished. >> Trump said early in his presidential campaign that any wall that his administration built would have a wide “door” to let immigrants come in legally. And, in recent weeks, he has repeatedly made the case that America welcomes legal immigration as a way to fill vacant jobs. Yet, by any measure, this administration has been extremely hostile to legal immigration. It pursues policies that would whittle it down to dangerously low levels, and punishes legal immigrants who have been forced to rely on public-assistance programs that they paid for with their taxes. >> Trump tried to gin up votes for Republicans in the midterm elections by making a big spectacle of dispatching 5,800 U.S. troops to the border. Supposedly, they were going to repel an approaching caravan of an estimated 8,000 to 10,000 migrants and refugees. The stunt didn’t work. Voters chose health care as their top issue over immigration. And, as soon as the election was over, Army Lt. Jeffrey Buchanan told Politico that the troops would be heading home in time for Christmas. As they leave, the troops can wave at the caravan, which has now started arriving in Tijuana. >> Finally, remember when Trump got the nativist right wing all worked up over a promise to scrap the 14th Amendment and end so-called birthright citizenship for the U.S.-born children of undocumented immigrants? Well, forget it. That was never a serious idea. That was just a cruel tease intended to manipulate the hardliners. According to The Washington Post, now that the midterms are done, White House officials are freely admitting that Trump has no plans at the moment to follow through with an executive order that would end birthright citizenship. Are we having fun yet? Trump still seems to be having a blast with his favorite chew toy: the immigration issue. Nonetheless, let’s give Trump credit for knowing his audience. He has a Ph.D. in human nature. He figured out that Americans — whether in politics, media or the town square — just love to talk about immigration. Imagine how much better off this country would be if they, and the president whom so many of them support, actually knew what they were talking about. ——— Ruben Navarrette Jr. is a columnist for the Washington Post Writers Group. His email is ruben@rubennavarrette. com. His daily podcast, “Navarrette Nation,” is available on apps.